New vs Old Properties | Belvoir! A topic that is often raised when it comes to deciding on the type of home you are going to buy. With the current increase in new builds and the recent government schemes - help to buy and shared ownerships- purchasing a new build may seem more appealing to some. However we mustn’t forget the unique craftsmanship and individuality that comes with older properties, for that reason we have rounded up the pros and cons when it comes to new vs old homes. A brand new home simply acts as a blank canvas, and is often what appeals to many people. The property is clean and fresh, some housebuilders will give you the opportunity to choose your own furnishings and fittings to help you personalise your new home, and renovations don’t usually need to occur so soon. Newer homes also tend to be more energy efficient, with the latest insulation, heating systems and even sometimes solar panels, you can be sure that your energy bills won’t be sky high. A lot of new homes in the UK come with a 10 year home warranty. This provides you with a very well comprehensive cover against a range of potential problems that may occur with a new build, including the construction of the home itself. However, a new home can come with its down falls. One being space, a lot of developers pack a lot of properties onto a site in order to maximise their profits, this can mean that a new build home can be less spacious. You may have also read in recent press that the quality of new builds aren’t always up to scratch. Whether it is a significant structural issue or a series of small annoying snags, make sure you liaise with the builder to get these sorted. As you can imagine, building a new home doesn’t always go to plan and delays can be put in place, which can overall effect your move-in date. If that is the case, don’t let these delays run for too long, not only is it added stress but also cost. Moving onto to existing properties. Older properties often hold a sense of character that has developed over time, they can also carry a lot of history which you ultimately become a part of. So if you are a fan of periodic features, spiralling stair cases and tall ceilings, you may want to consider an older property. They are also great if you are planning a renovation project, as not always but most of the time something will be looking a little tired and in need of an update. Depending on a few factors -such as the state of the property, consumer demand, and the seller’s current situation- the price of an existing property is often negotiable. Call it negotiating power and use this to your advantage, you can sometimes bag yourself a bargain! Location is also an important factor when buying your dream home. 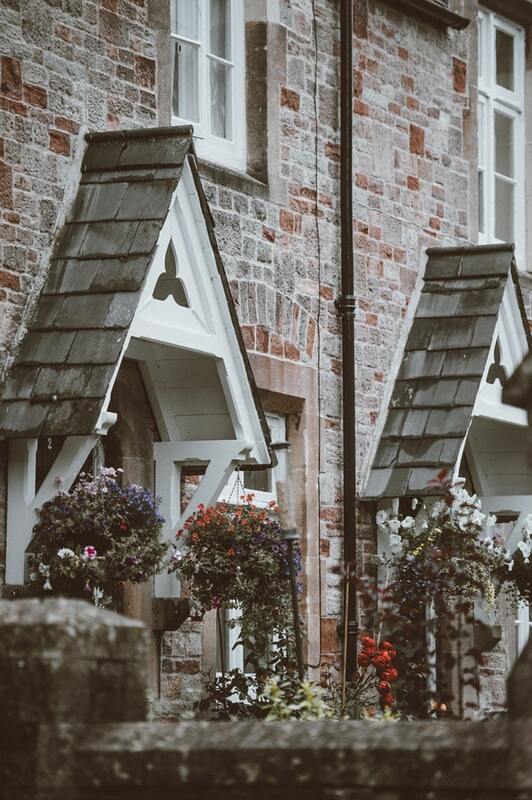 Expect to find older properties in the heart of an area, close to amenities such as schools, shops and even your local park. As older properties have time on their shoulders, they also carry some disadvantages. Wear and tear being of them, expect to have potential damp, leaks and draft areas throughout the property. Due to their age, older properties also often have dated heating systems, which can mean it will take time heat the entire house- not great when you are trying to create your winter haven during the cooler months. Security is also something you may want to consider when buying an older property, as newer homes tend to have high specifications, and often include high-performance locks, burglar alarms and smoke alarms at standard, which older homes may not have. In all honesty it all depends on preference, buying a house is one of the most daunting tasks you are most likely to undertake. Think long and hard about what you want in a home, and most of all don’t let people influence your decisions- it is your dream home after all.